Coat hangers feature an elegant, sturdy design. Curved shape is perfect care of coats. 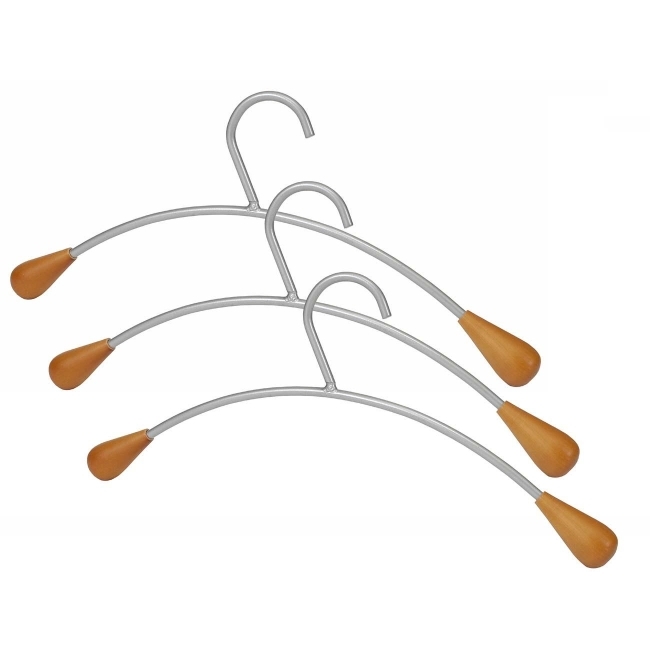 Coat hangers are made of stainless steel with wood tips.